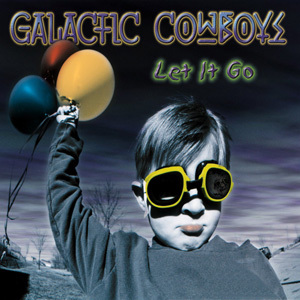 "'Let It Go' is the 6th album released by Galactic Cowboys. 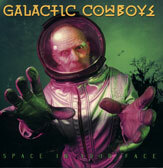 The CD was produced by guitarist Wally Farkas, at our studio in Houston, TX. It features the songwriting and lead vocal skills of all the members - Wally, Ben Huggins, and myself, Monty Colvin. We basically threw out all the rules this time, and made an album that has a wide variety of styles, sounds, and textures. The songs range from fast, harder-edged tunes to softer, ballady stuff. The overall feel is more melancholy, but it is also filled with its share of lighthearted moments that we are known for. 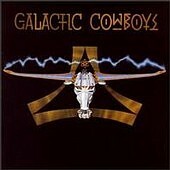 The vision of Galactic Cowboys has always been to use our God-given talents to produce the best art we can. Through the years we have had the opportunity to bless, entertain, and affect the lives of many people (at least that's what they tell us!). We have always maintained a high standard for the musical and lyrical content of our albums, and 'Let It Go' is no exception! From 10 years of recording and touring around the world, GC has build up a loyal fan-base. The GC listener has become accustomed to the quality and originality of each CD, and 'Let It Go' will definitely deliver!" 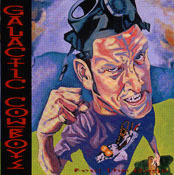 Here are all of the Galactic Cowboys' studio albums (plus the EP "Feel The Rage"), listed in chronological order. Click on the album covers to read the lyrics. Interludes courtesy of the Tomkyn Conservatorium de Musicalium. Barnyard animals sound effects also courtesy of the Tomkyn Conservatorium de Musicalium. Heavy metal at its hardest! A lot of built-up angst concerning the music industry fueled this one. 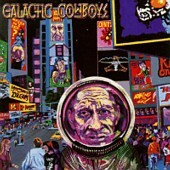 Only about thirty minutes of music on this EP, and two of the songs were covers of other bands' material. 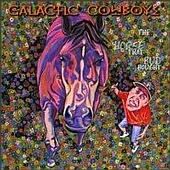 A good collection, with two live songs at the end of the CD. 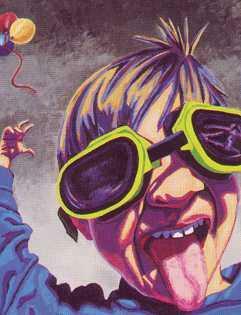 A great collection of tunes, well balanced between heavy and mellow numbers. 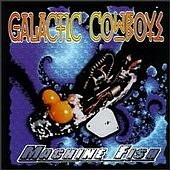 All songs published copyright 1998 Galactic Cowboys, WB Music Corp/Sharp Blade Music/Galactic Noise Music. This is the Masterpiece, folks.